The electronic cigarette is a non-tobacco product that delivers nicotine to the user via a vapor that is inhaled into the lungs. Electronic cigarettes are fashioned to look like real cigarettes made from tobacco, many of them consisting of a white cylindrical tube with a brown filter and a red, glowing tip. Contained within are a rechargeable battery, mouthpiece, and a heating element. Instead of tobacco, e-cigarettes contain a cartridge inside of the mouthpiece that is typically filled with liquid nicotine and other chemicals, including propylene glycol or glycerin. Flavorings such as tobacco or menthol and food flavors like vanilla and caramel may be added to the nicotine solution. The nicotine in cartridges is available in different strengths, including cartridges that supposedly do not contain any nicotine. When smokers draw on the business end of the tube, the battery heats the nicotine in the cartridge, creating a nicotine vapor that is inhaled into the lungs. The excess cigarette-like "smoke" vapor is then emitted from the end of the electronic cigarette, completing the cigarette smoking illusion. Carcinogenic tobacco-specific nitrosamines were found in half of the samples tested. One cartridge contained diethylene glycol, a toxic ingredient found in anti-freeze. All but one of the cartridges labeled as having no nicotine did contain nicotine. Three nicotine cartridges labeled as the same appeared to contain significantly different levels of nicotine. The FDA cautions that the results of this testing shouldn't be used conclusively because ingredients vary so widely between brands. That said, it does accentuate the fact that more testing of this unregulated product is needed. For a couple of important reasons, electronic cigarettes are not a good choice as a quit aid for the person who is trying to quit smoking. Unlike traditional nicotine replacement therapy that has been developed to wean a person off of nicotine dependence in a gradual, controlled way, electronic cigarettes have no such medically-endorsed program associated with them. They are largely untested and because they are not regulated, the amount of nicotine in them can vary, as well as other possibly harmful chemical ingredients. Marketers of electronic cigarettes often assert that their product is a viable quit aid, but according to Douglas Bettcher, Director a.i. of the World Health Organization's (WHO) Tobacco Free Initiative, these claims are off base. "If the marketers of the electronic cigarette want to help smokers quit, then they need to conduct clinical studies and toxicity analyses and operate within the proper regulatory framework," Dr. Bettcher says. 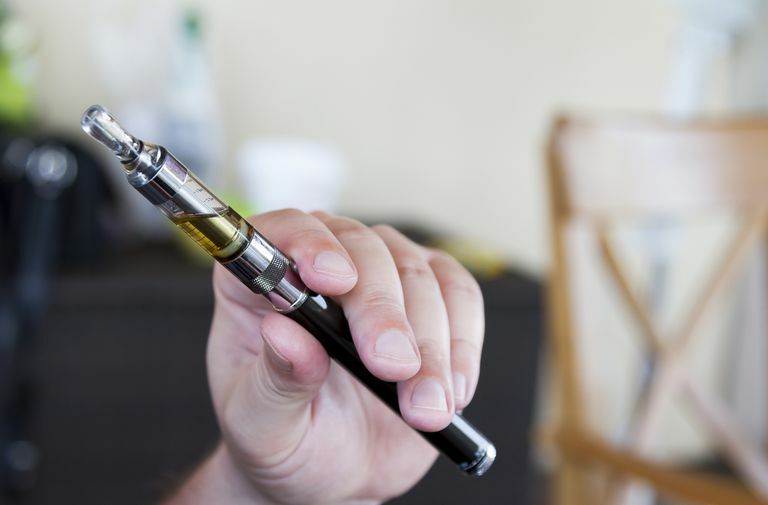 "Until they do that, WHO cannot consider the electronic cigarette to be an appropriate nicotine replacement therapy, and it certainly cannot accept false suggestions that it has approved and endorsed the product." It is also worth noting that NRTs are not without risk. Because they contain nicotine, the addictive component in tobacco, nicotine replacement therapy carries with it the danger of re-addiction if the product isn't used properly. It is important to follow the manufacturer's directions carefully and wean off the NRT of your choice as specified. If this is done, NRTs can be a safe and comfortable way to end your smoking addiction. When we quit smoking, it is counter-productive to substitute a nicotine delivery device that looks, for all intents and purposes, just like the cigarettes we are working so hard to break free of. healing from the physical addiction to nicotine. reprogramming old associations that involve smoking with new associations that do not. Choosing a cigarette-like nicotine product to help us heal those associations is risky and puts unnecessary stress on an already challenging task. If you wish to use a nicotine-based quit aid to help you quit smoking, it's better to use one that is carefully regulated and approved by the medical community. As defined, a smoking alternative is a tobacco or non-tobacco substitute for regular cigarettes. Electronic cigarettes qualify as a smoking alternative, not a quit aid. The risks associated with electronic cigarettes are largely unknown at this point. When ready to quit, you have a wide variety of medically endorsed quit aids on the market today to choose from. Selecting a quit aid that is a good fit for you is essentially a matter of preference, barring any medical concerns you may have. It's always a good idea to check with your doctor about quit smoking options and discuss what might work best for you before making a decision. Remember, if at first you don't succeed, learn from what went wrong and try again. Most smokers have a few failed quit attempts under their belts prior to finding the quit that fits for life. Work on making your resolve solid, and nothing will be able to stop you.